What’s your go-to blog for recipes? We all have them, because these days… it’s so much easier to Google than to search through an array of cookbooks. Me and half of America have Smitten Kitchen as our go-to blog for recipes. I haven’t made too many things, because most of the time I like inventing things but I’ve made a few and every one is great. and had a massive zucchini from the garden to use. First I made an zucchini mozzarella bake, which I will tell you about soon, but there I still had about 1/3 of the zucchini left. I’m telling you this thing was the size of a small animal (probably roughly the size of the two pugs above). I wish I had taken a picture of it. So with 1/3 of an enormous zucchini sitting on the counter as two pugs stared at me, naturally, I turned to Smitten Kitchen for direction. Now, I have to tell you… I’m a terrible person. I never actually read her blog posts. I only ever look at the pictures and recipes. Does anyone else do that? We all have different motivations for following blogs, right? For me, Smitten Kitchen is all about pictures and recipes. So back to Zucchini. 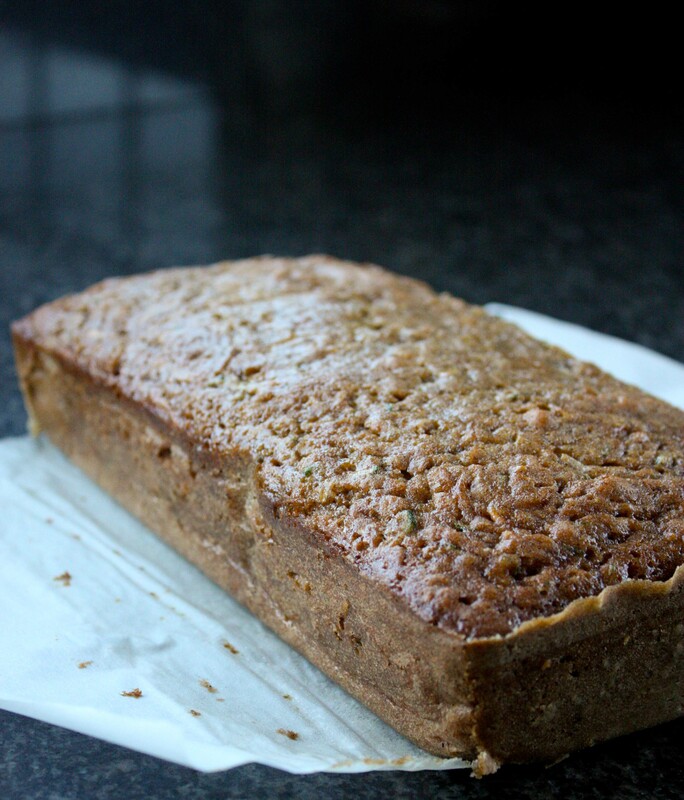 I made zucchini bread, because I was feeling traditional. I usually never do this, but I actually followed this recipe pretty much to the T (but omited the nuts and added chocolate chips). I chose to add chocolate chips because for some reason chocolate and zucchini sounds like a natural combination. Line two loaf pans with parchment paper. Pre-heat oven to 350F. In a bowl, beat together eggs, oil and sugar. Once combined, add zucchini and vanilla extract. Stir to combine. Add dry ingredients and chocolate chips. Stir until just combined. 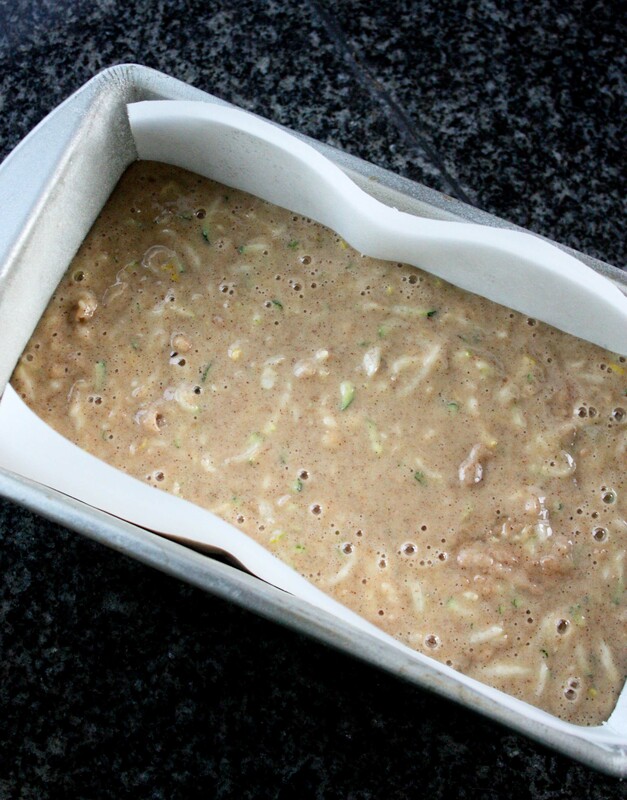 Pour batter into two loaf pans. Bake about an hour (mine took about an hour and 10 minutes, remember all ovens are different). Allow to cool completely. Then remove from pan (parchment paper makes it super easy to pull out of the pan). Slice and serve. I took these two loaves to work and they were gone in a day. That’s probably because I ate half of it on my own. It was pretty delicious. The loaves are sort of dense, but super moist, which is always appreciated. Normally I hate chocolate chips in quick breads, but this was fantastic. 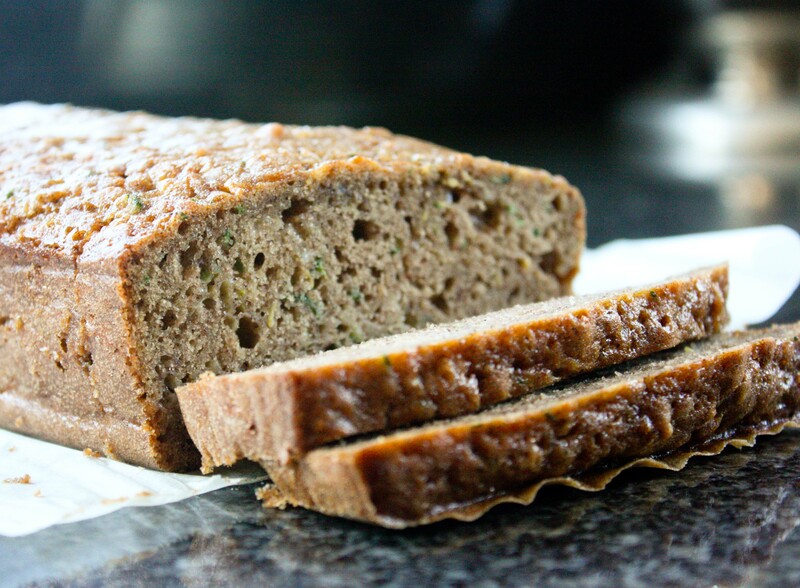 If you ever put chocolate chips in my banana bread or pancakes, we won’t be friends anymore, but in zucchini bread… bring it on! So there you have it. Sometimes you need a go-to blog for a recipe. What’s your go-to blog for recipes? Are there any blogs you read solely for pictures and recipes? 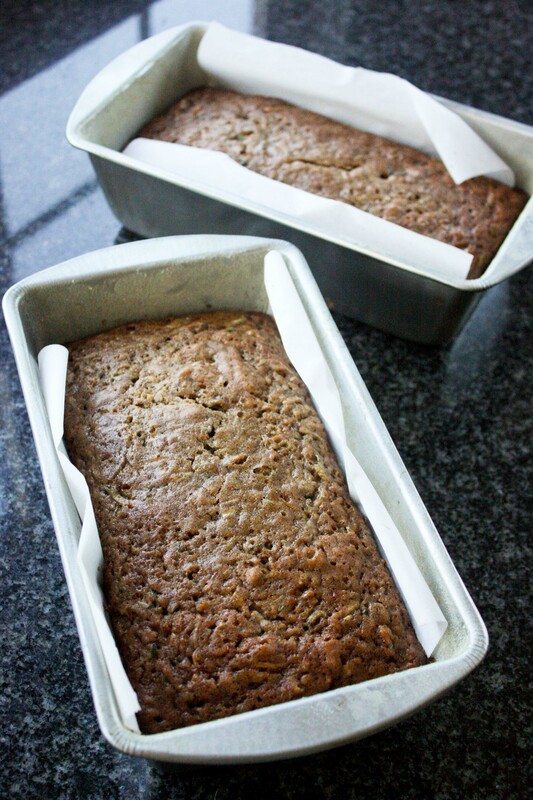 love smitten kitchen’s recipes and i’m always looking for a good zucchini bread one. will have to try this! I’m also a big fan of Smitten Kitchen but Simply Recipes has been popping up more frequently as of late. I usually put chocolate chips and walnuts in my zucchini bread and use olive oil. Yum– this looks so good. I love zucchini bread, but strangely, I don’t think I’ve EVER made it myself. The first year I had a veggie garden I planted one zucchini plant that essentially took over the garden. At the end of summer I was overwhelmed with zucchini and was trying to find creative ways to use it. I shredded a ton of it and stored it in ziplocks to freeze for winter. I also made TONS of bread! !